The Echo scooter has a light weight frame designed for the user on the go. The scooter disassembles into three pieces for portability and storage; with the heaviest part weighing just 35 lb. 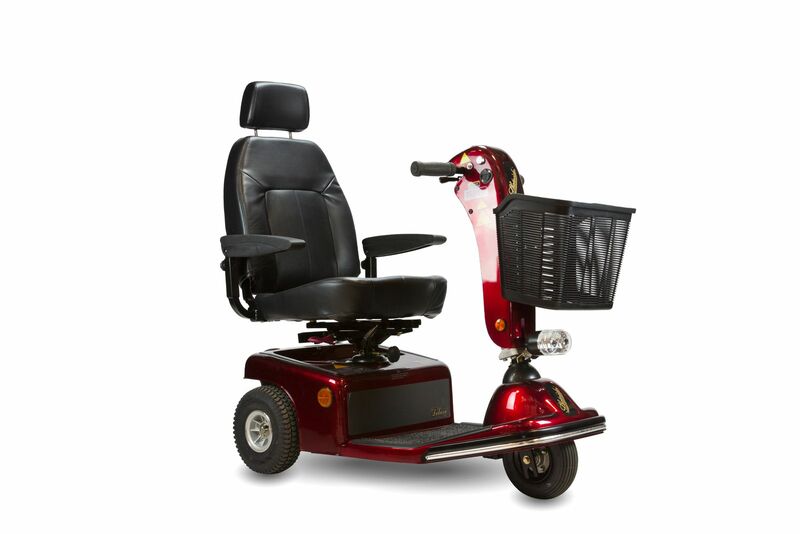 It has a height adjustable seat, allowing for improved comfort during driving operation. The Echo 3 also comes standard with a quick connect battery pack, solid tires and a basket to store personal items. The Echo Folding is designed for the user on the go. 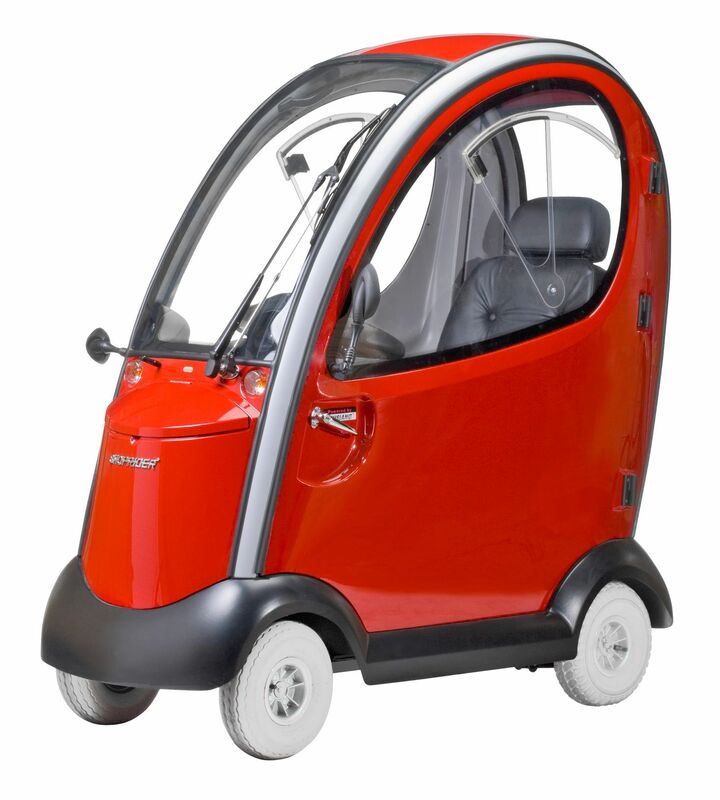 The scooter folds for transportation and unfolds for use in a matter of seconds. The unit weighs in at just 59 lb. and can store easily in small spaces. 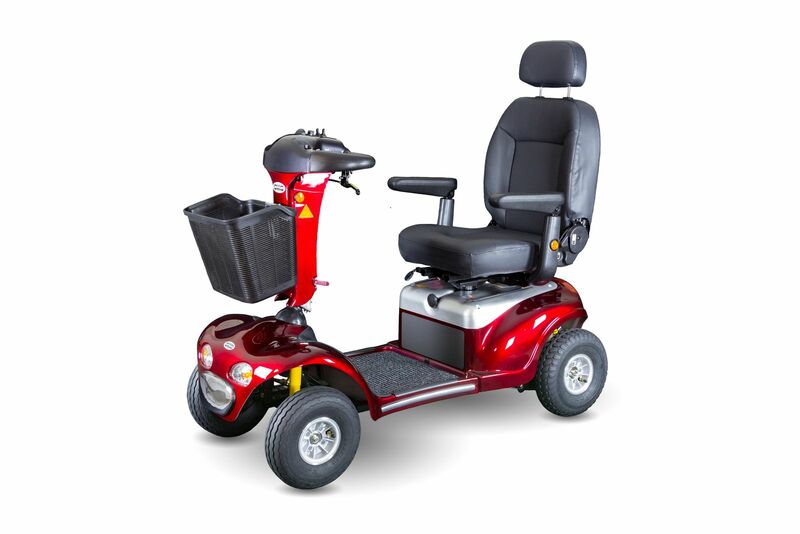 It comes standard with solid tires, electric brake system and a curved tiller for added comfort. Available in red, gray and black, the Echo Folding will get you to your destination in style. The Escape scooter is designed for the user on the go. It has a 250 lb. weight capacity and has a quick-disconnect system for effortless disassembly. The unit disassembles into three parts, the heaviest weighing just 33 lb. 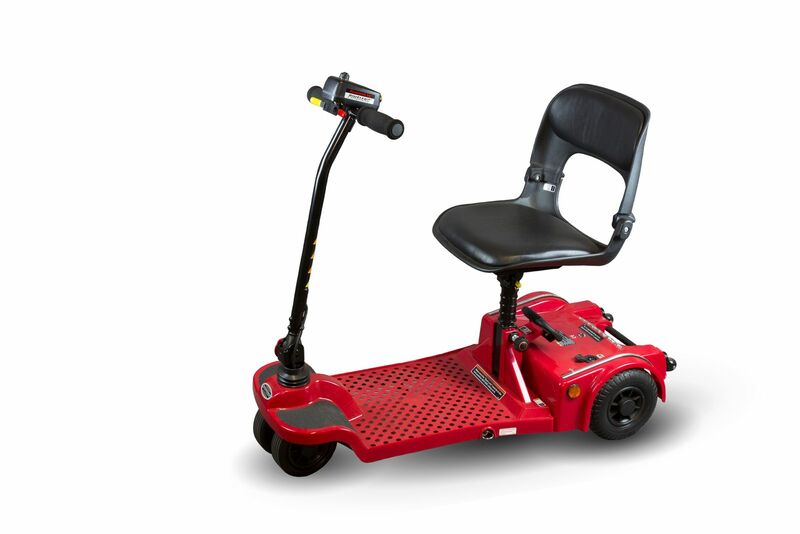 The Escape maneuvers with ease and has an adjustable tiller for added comfort during operation. The Escape also comes standard with solid tires for a smoother ride and swivel seating system. The Escape also features a split battery pack design that make it convenient for travel. 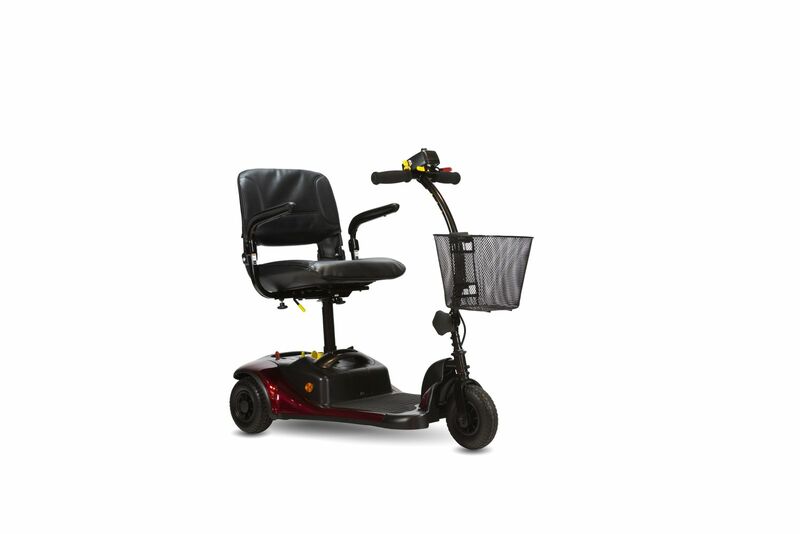 The Scootie is light-weight, easy to transport and has articulating front wheels. The Scootie weighs in at just 82 lb. with the batteries installed. The patented articulating front wheels allow four-wheel stability with three-wheel maneuverability. The Scootie is length adjustable and can fold down for easy transportation and storage. The Dasher 3 scooter is designed for the user on the go. It has a 250 lb. weight capacity and has a quick-disconnect system for effortless disassembly. The unit disassembles into three parts, the heaviest weighing just 26 lb. The Dasher 3 maneuvers with ease and has an adjustable tiller for added comfort during operation. 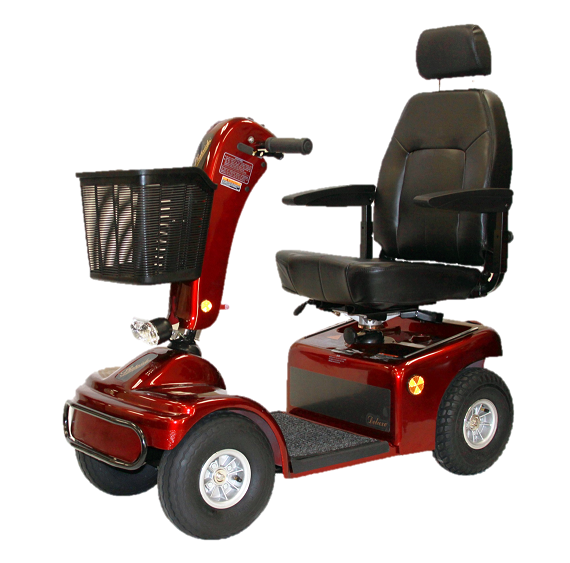 The Dasher 3 also comes standard with solid tires for a smoother ride and swivel seating system. The Dasher 4 scooter is designed for the user on the go. It has a 250 lb. weight capacity and has a quick-disconnect system for effortless disassembly. The unit disassembles into three parts, the heaviest weighing just 26 lb. The Dasher 4 maneuvers with ease and has an adjustable tiller for added comfort during operation. The Dasher 4 also comes standard with interchangeable fender colors, solid tires for a smoother ride and swivel seating system. The Sunrunner 3 is a mid-size three-wheel scooter with a 300 lb. weight capacity. 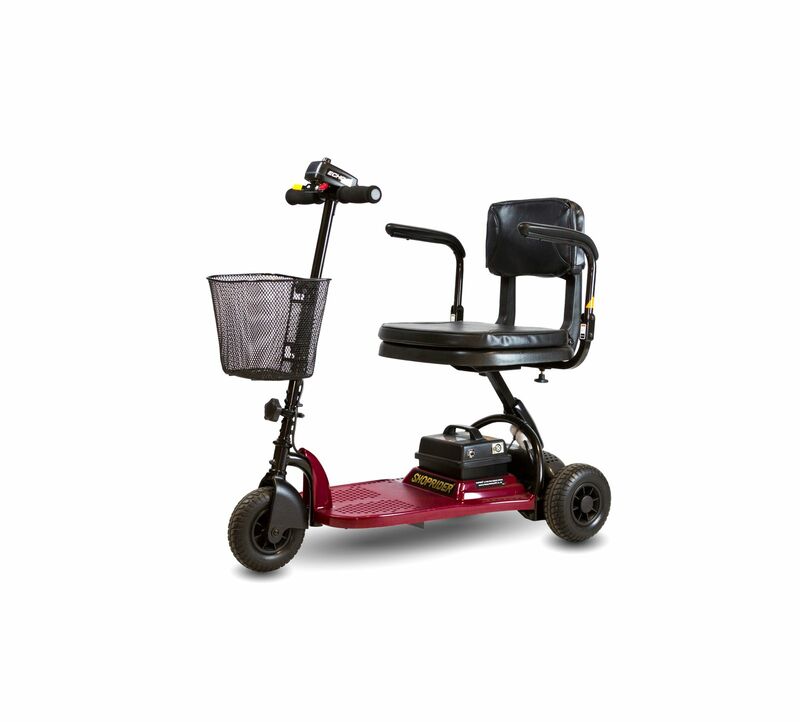 The unit comes standard with a deluxe captain’s seat that can accommodate most users. It has an adjustable tiller for added comfort and a front head light for added convenience for evening operation. It is available optionally with a full lighting package adding turn indicators and hazard lights. The unit has a 3in. ground clearance for operation on multiple terrains. The Sunrunner 4 is a mid-size four-wheel scooter with a 300 lb. weight capacity. 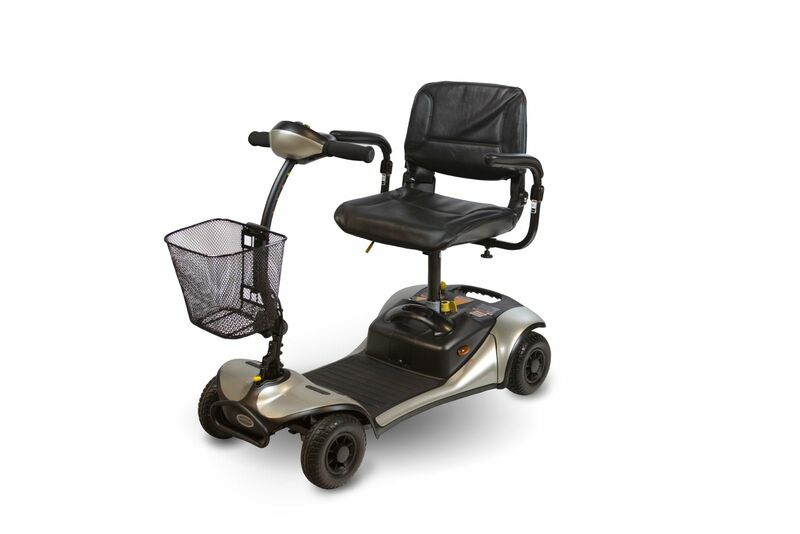 The unit comes standard with a deluxe captain’s seat that can accommodate most users. 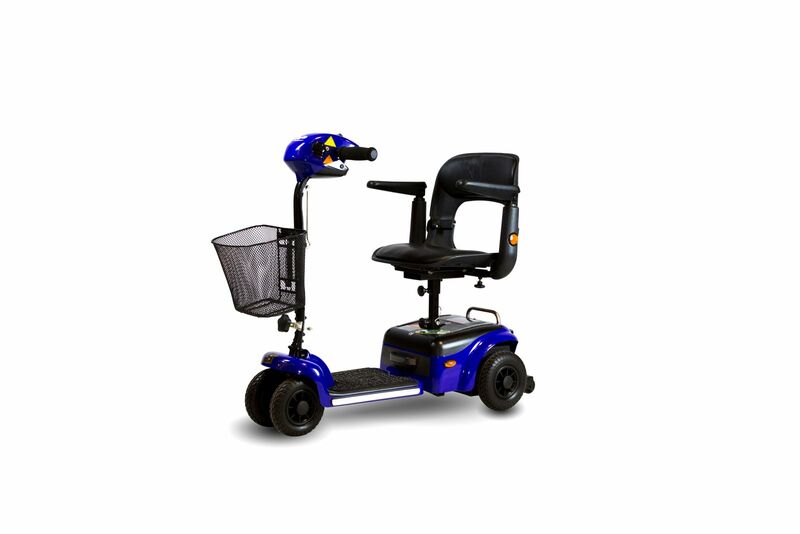 It has an adjustable tiller for added user comfort and a front head light for added convenience for evening operation. It is available optionally with a full lighting package adding turn indicators and hazard lights. The unit has a 3in. ground clearance for operation on multiple terrains. The Sprinter XL4 is a heavy duty four-wheel scooter with a 350 lb. weight capacity. 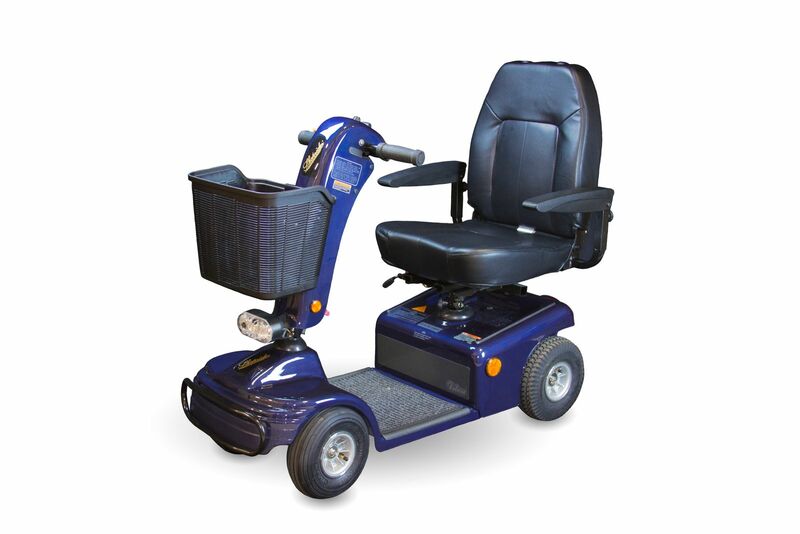 The unit comes standard with a deluxe captain’s seat that can accommodate most users. 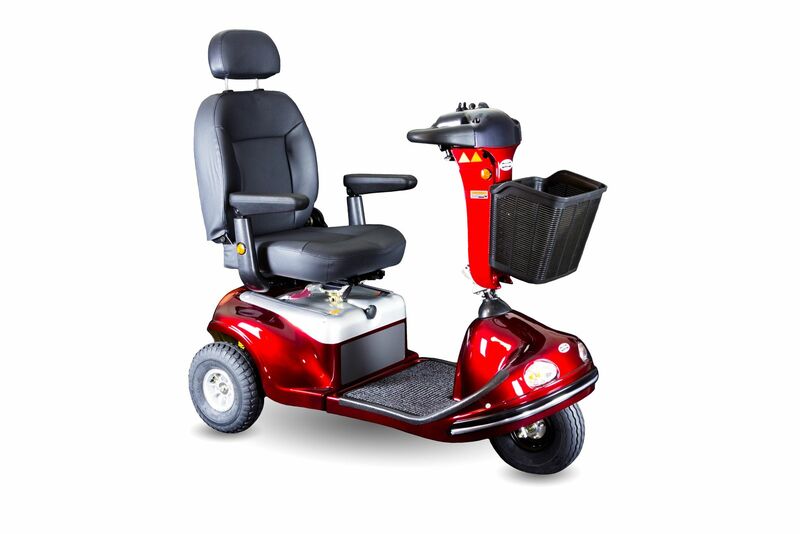 It has an adjustable tiller for added user comfort and a front head light for added convenience for evening operation. It is available optionally with a full lighting package adding turn indicators and hazard lights. The 12in. solid wheels give the unit a 3in. ground clearance for operation on multiple terrains. The Enduro XL3+ is a heavy duty three-wheel scooter with a 500 lb. weight capacity. It has a delta style tiller which houses the controls for the lighting system, turn signals, wig wag and horn. It has a dual purpose wig wag which allows the user to push forward or pull back on the drive lever depending on dexterity for ease of driving. The unit comes standard with a 20in. seat that can accommodate most riders, and has swivel and recline features for added comfort and ease of use. The Enduro XL4+ is a heavy duty four-wheel scooter with a 500 lb. weight capacity. It has a delta style tiller which houses the controls for the lighting system, turn signals, wig wag and horn. It has a dual purpose wig wag which allows the user to push forward or pull back on the drive lever depending on dexterity for ease of driving. The unit comes standard with a 20in. seat that can accommodate most riders, and has swivel and recline features for added comfort and ease of use. It also features a full suspension to allow for smoother ride operation on most terrains. Introducing Shoprider's top of line FLAGSHIP scooter. The name says it all. The ultra exclusive FLAGSHIP will satisfy those with discriminating taste for only the very best. Expecting inclement weather? No problem. The FLAGSHIP's stylish canopy enclosure provides comfortable, all season transportation. Sturdy, key locking and removable doors provide security as well as convertibility. The FLAGSHIP also comes standard with a fully operational lighting system, full suspension for a luxurious ride, even a windscreen wiper/washer system with reservoir. 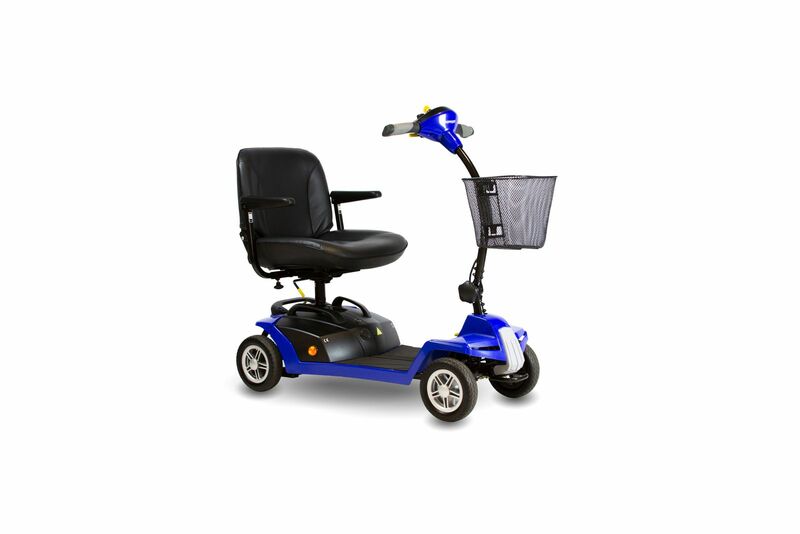 Copyright © 2018 SHOPRIDER Mobility Products, Inc. (A subsidiary company of Pihsiang Machinery MFG. Co., Ltd.) All rights reserved. Note: Technical support and the parts department close at 4pm.